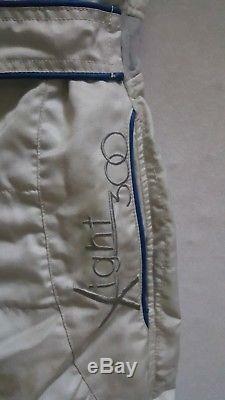 I bought this Sparco X-Light 300 race suit new in 2005, only wore 2/3 times as I have 2 suits. Its very comfy and light, great for hot days and summer driving. 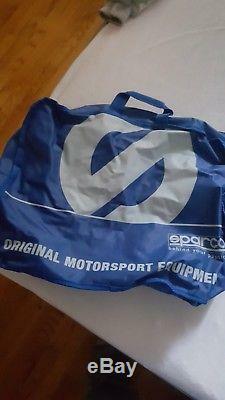 Comes with Sparco carrying case. Size 54 (I'm 5'8). The item "Sparco X-Light 300 race suit silver" is in sale since Sunday, November 25, 2018. This item is in the category "Sports Mem, Cards & Fan Shop\Fan Apparel & Souvenirs\Racing-Other". The seller is "ehellgren" and is located in San Jose, California. This item can be shipped worldwide.